REGINALD O. 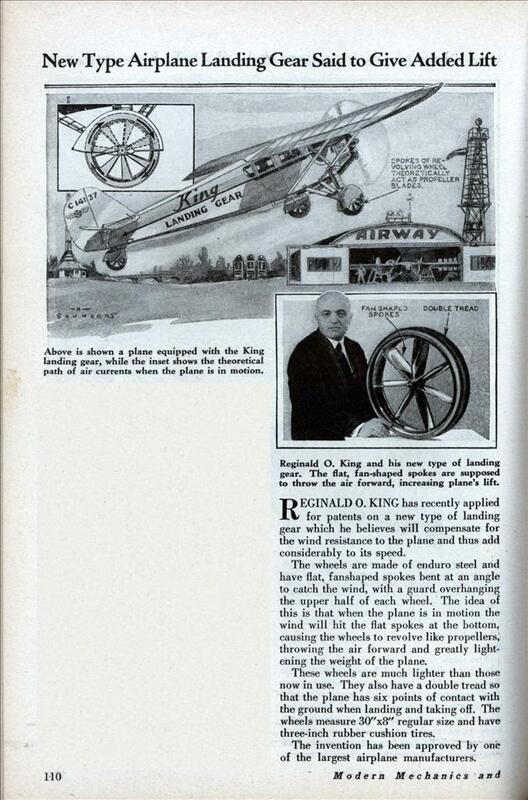 KING has recently applied for patents on a new type of landing gear which he believes will compensate for the wind resistance to the plane and thus add considerably to its speed. The wheels are made of enduro steel and have flat, fanshaped spokes bent at an angle to catch the wind, with a guard overhanging the upper half of each wheel. 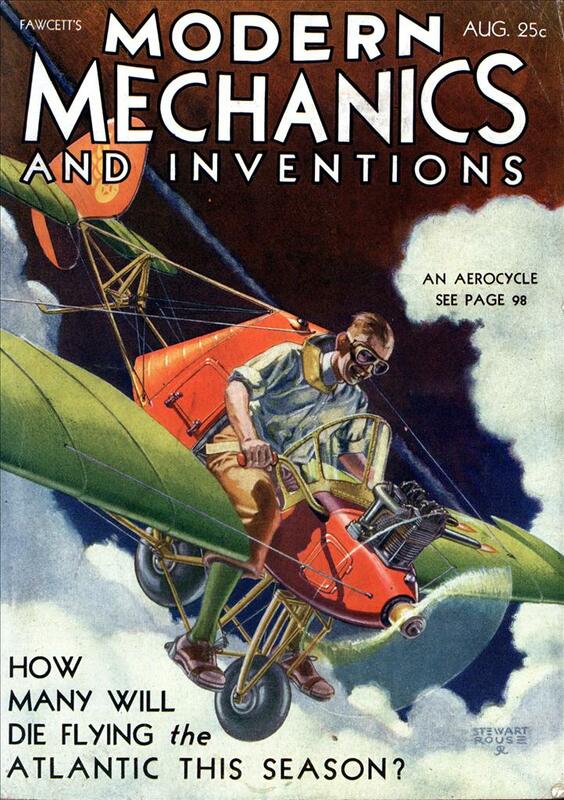 The idea of this is that when the plane is in motion the wind will hit the flat spokes at the bottom, causing the wheels to revolve like propellers, throwing the air forward and greatly lightening the weight of the plane. These wheels are much lighter than those now in use. They also have a double tread so that the plane has six points of contact with the ground when landing and taking off. The wheels measure 30″x8″ regular size and have three-inch rubber cushion tires. The invention has been approved by one of the largest airplane manufacturers. No extra lift here. I guess they didn’t know much about physics back then. The knew quite a bit about physics back then. But physics still doesn’t stop crack pots from making wild claims from their inventions today. The inventor didn’t consider drag, though he was 70 years ahead of his time. After 2001, he could have gotten a huge Homeland Security grant to develop this idea. I like that the wheels would already be turning during landing, but the drag wouldn’t be worth it.